NYAOPE ADDICTS have taken to the needle. They call it Bluetooth. Most people call it dangerous, unhealthy and madness. ADDICTS SHARE DRUGS AND SWAP THEIR BLOOD, USING ONE OLD, DIRTY SYRINGE. “Injecting it is the quickest way of getting high,” a 25-year-old addict told Daily Sun, demonstrating how it is done. “The addict mixes the drug with a small amount of water and pulls it into a syringe, injecting himself. But the addicts take it one step further. “Bluetooth” is when an already high nyaope addict takes blood from his own veins and gives it to his fellow addicts, who take turns to inject themselves so they can get high as well. They inject themselves in the arms, necks and even their 4-5s. It appears to be happening in many parts of Tshwane, including Attridgeville, Soshanguve, Mamelodi, Hammanskraal and parts of North West such as Makapanstad and Mathibestad, where nyaope use is popular. 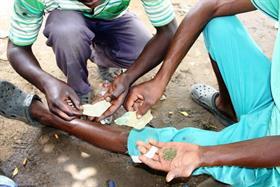 The addicts who rely on the first user usually don’t have enough money to buy their own nyaope. They buy 10 millilitres of blood for about R10. A nyaope smoker from Makapanstad said this is called “compromising”. 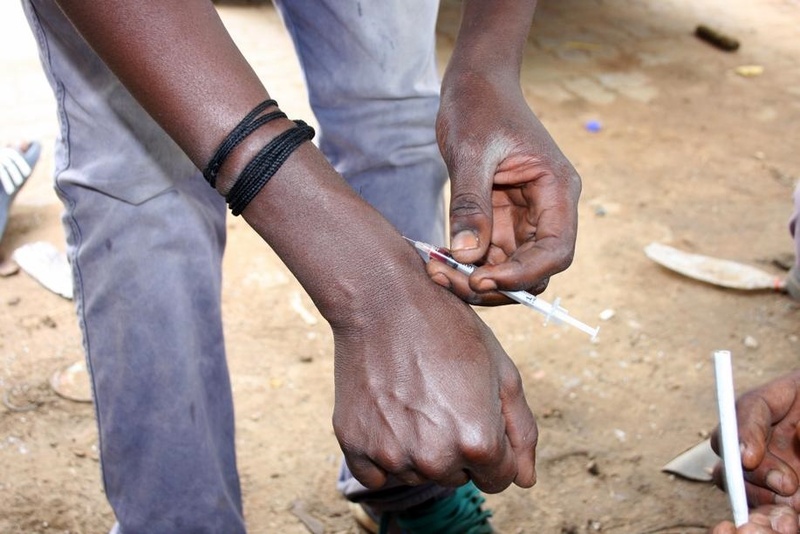 The 19-year-old said they each pay R10 and mix 30 millilitres of the drug, injecting themselves with 10 millilitres each and using the same syringe. “We know about the risks. We use loyal partners. Bluetooth has been happening for a few months, but lately the practice has spread. The worried mother of a 26-year-old addict from Hammanskraal said her son is playing with his life. 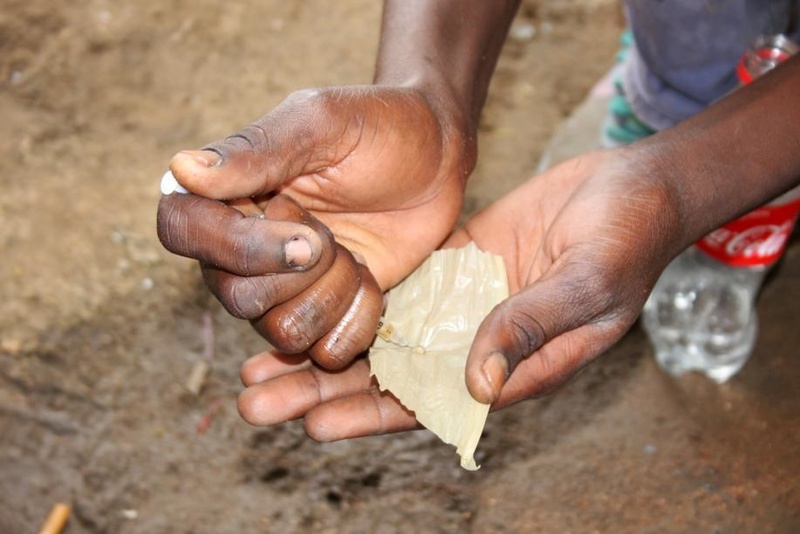 “Once they start injecting, these lost souls have very little chance of recovery. They are inviting death and sickness into their bodies. “Smoking is bad but it is far better than injecting. 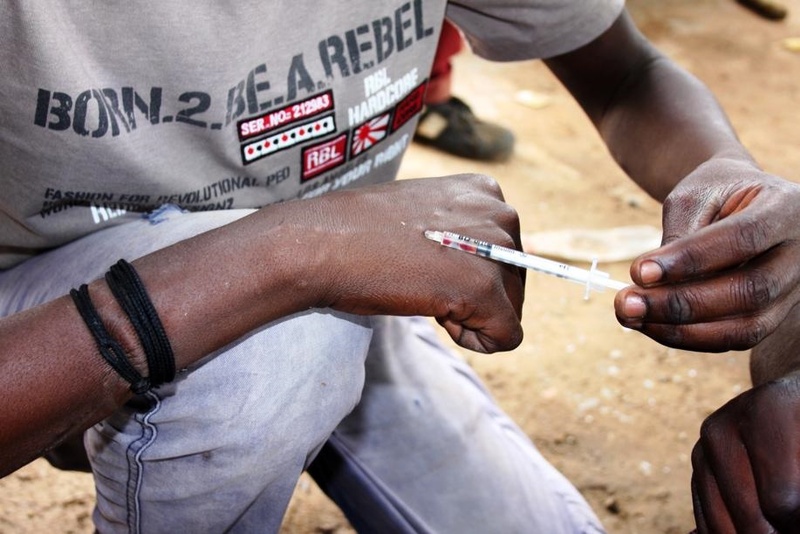 Dr Steven Mushadu said sharing syringes and needles in drug use is very dangerous. “It can have deadly consequences. He said drugs like this contain substances that cause harm to vital organs such as the brain, kidneys, heart and liver.